Jose Ines Garcia Zarate, a.k.a. 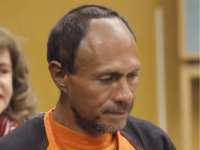 Juan Francisco Lopez-Sanchez, the illegal alien, five-time deportee, and seven-time convicted felon who killed 32-year-old American Kate Steinle in July 2015, was sentenced to time served on Friday after being convicted in November of possession of a firearm by a felon. The illegal immigrant charged with felony possession of a firearm instead of the murder of Kate Steinle is now seeking to have his felony possession charges thrown out. 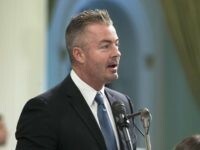 A federal grand jury on Wednesday indicted the illegal alien who was acquitted in a California court of the murder of 32-year-old Kate Steinle. White House press secretary Sarah Sanders called for Congress to act to secure America’s borders in a Friday morning response to Thursday’s “not guilty” verdict against an illegal alien in the Kate Steinle murder case. 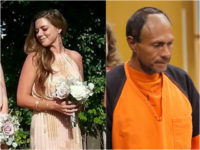 Americans whose loved ones have been killed by illegal aliens expressed devastation on Thursday after illegal alien Jose Garcia Zarate was found not guilty of murdering 32-year-old Kate Steinle. As the nation absorbs the shocking verdict, one fact remains true: were San Francisco not a “sanctuary city,” Kate Steinle would likely still be alive today. 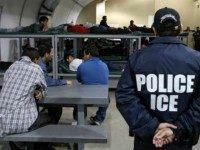 A jury found seven-time felon, five times deported illegal alien Jose Garcia Zarate not guilty in the case of the 2015 murder of Kate Steinle Thursday evening. Attorney Matt Gonzalez suggests blame for Kathy Steinle’s death rests with SIG Sauer handguns, not felon Juan Francisco Lopez Sanchez. 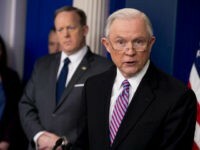 WASHINGTON, D.C. — U.S. Attorney General Jeff Sessions made an appearance at Monday’s White House press briefing to warn sanctuary jurisdictions in the country that they could lose their portion of $4.1 billion in grants from the Department of Justice if they continue to protect murderers, child rapists, and drug traffickers illegally present in the United States. 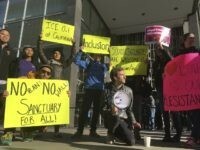 San Francisco Mayor Ed Lee has just announced a new campaign to support illegal aliens in his city. 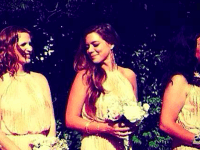 The announcement comes one week after a federal judge poured out the Kathryn Steinle family in the lawsuit against the city of San Francisco. 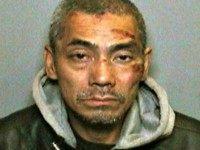 Dangerous criminal alien Bac Duong turned himself into authorities on Friday, just a week after he and two other violent criminals escaped from an Orange County Jail. The other two remain at large. 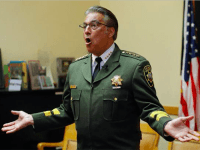 San Francisco Sheriff Ross Mirkarimi has lost his bid for re-election after he emerged as a symbol of the city’s broken “sanctuary city” policies–and general incompetence. Donald Trump is being given credit for a new L.A. County policy that lets federal agents “interview [jail] inmates who have committed serious crimes” to gauge if they need to be deported. 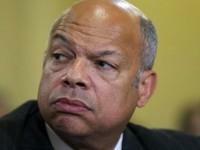 Jeh Johnson laid into sanctuary city policies that actively hinder the efforts of immigration officials to enforce U.S. law in the wake of the July shooting death of Kate Steinle in San Francisco. We live in a cruel, dangerous world riddled with crime. That’s the hard reality. But certainly, elected officials could move decisively if they wanted to against “Sanctuary Cities” and the dangerous criminal aliens who fly under the law. The family of Kathryn Steinle — the woman whose shooting death sparked a national outcry over illegal immigrant crime — is filing a lawsuit against local and federal officials over her murder, according to reports. On August 28 the Contra Costa Times reported that an expert testifying in Juan Francisco Lopez-Sanchez’s preliminary hearing says the bullet that struck and killed Kathryn Steinle on San Francisco’s Pier 14 actually ricocheted off the pier “90 to 95 feet” before hitting her. 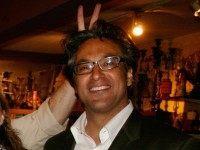 San Francisco Sheriff Ross Mirkarimi’s driver license has been suspended for failing to report a traffic accident that he was involved in last October.